Given the challenges in today’s economy, internet marketing has become a critical method for driving online reservations for hotels. Whether your hotel’s needs are short term, long term or both, there are a variety of internet marketing tools available to help you achieve your goals. Pay Per Click – Of all the internet marketing options available to hotels, Pay Per Click is perhaps the one with the most potential for instant gratification. If athe Pay Per Click campaign is well managed, and the keywords which you are bidding on are relevant to your hotel, you should expect a strong short term ROI. This is a great tool to get through seasonality and/or other anticipated slow periods where you need an extra boost to business. Email Marketing – If you already have a list of email addresses which you’ve been collecting through the double opt-in process, you are in a great position to begin. If you don’t have a permission based email database, now is the time to begin that collection process. 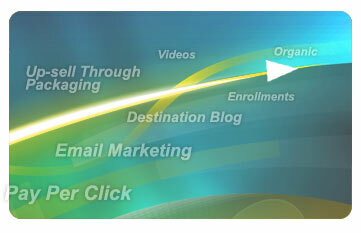 Targeted, permission based email marketing campaigns can yield extremely high ROI’s. Enhance Design for Conversion – The average website should have its design revamped every 3-5 years. By incorporating engaging photography, pertinent content, easy to use navigation, value added offers and an intuitive booking process, you should see an increase in the conversion rate of those shopping on your website. Up-sell Through Packaging – Everyone is looking for a deal…especially a great all-inclusive deal. Consider using value added packages as a way to convert lookers to bookers. These packages should be created based on historical demand. Destination Blog – Destination blogs for hotels are designed to provide a forum for consumers to exchange information about the destination. One of the biggest benefits which blogs have is that they ping the search engines as soon as a new post is made on the blog. By stimulating discussion forums about your destination, you’ll be well suited to market your hotel within that destination. Consumer Generated Content – An alternative to managing a full destination blog is to add a “Customer Review” section to your website. By allowing consumers to post their thoughts and opinions, you will build credibility both with the search engines and with prospective guests. Search Engine Optimized Online Video – Online videos are one of the hottest forms of internet marketing. By search engine optimizing the video and distributing it to the major video search sites, you will be able to achieve visibility through those popular channels. Rich media continues to drive online conversion, and should be incorporated into any strategic marketing plan. Organic – Setting a solid organic strategy is the most sustainable way to get through tough economic conditions. While it does not result in instant gratification, the results come from proving credibility and relevancy to the Search Engines. If you don’t already have a good organic strategy in place, now is the time to implement one so to help you can get through future economic challenges. Strategic Directory Enrollments – As a part of your organic strategy, ensure that you place an emphasis on strategic, high quality directory enrollments. By having your site enrolled in relevant niche directories, you will benefit from driving qualified traffic to your site. Hello Bunsay – somebody from our team should be getting in contact with you. Let us know if you need more information! Hi can you please tell me how to do marketing for a newly established hotel? Hello Ajith – one of our business development managers would be happy to get in touch with you. I like the concept, i wanna do marketing for recently established hotel. Can you pls gve me some suggestions..
Love all your write up,i will really like to know how to implement them in my own case. Was recently made head of marketing and i need to drive occupancy level for my hotel because we just hit all time low in over two years. And it seems all our corporate clients are not coming any longer. Thanks for your comment. We will have somebody from our sales department connect with you. Hi – thanks for your inquiry. A member of our sales team will be reaching out to you. Thank you for your comment. A representative from our business development team will be in touch with you shortly. Thanks for your comment. Somebody from our business development team will be getting in touch with you shortly. Hi, we have a small hote of 42 room. how would you recommend to market it? this is a small town with a lot of tourists. Hello Suma – Thanks for your comment. Somebody from our business development team will be in touch with you shortly. Hello Asif – thanks for your comment. A member of our team will be reaching out to you shortly. I am receptionist of this Hotel. I want some help to market our hotel. How can I do my hotel’s online marketing ?